My 4oz. sugar scrubs are handmade by me with the best ingredients, no fillers! Made with delicious organic sugar, sunflower oil, apricot kernel oil, almond oil, vitamin e oil & phthalate free fragrance oil. They come with a wooden spoon for easy application in the shower. These sugar scrubs are great for softening your hands or your whole body. Just put a spoonful on, rub & rinse for natural & gentle exfoliation. Works great, especially before a spray tan or regular use for fresh glowing skin. YES! I make custom favors & Gift Sets! They can be found in my "gifts/sampler" section. (c) 2018 Sugar Sugar Scrub LLC. All images, info, descriptions etc. 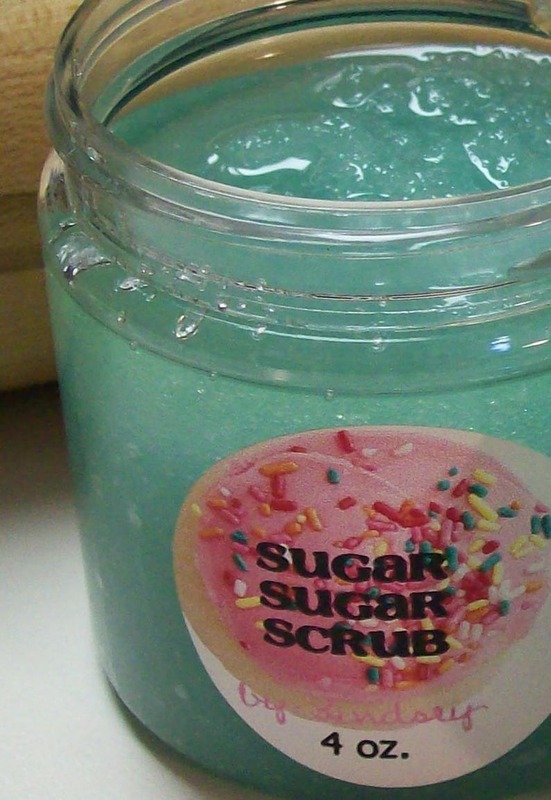 on www.sugarsugarscrub.com and www.sugarsugarscrub.net are the property of Sugar Sugar Scrub LLC. SUGAR COOKIE Body Sugar Scrub - Body Polish - Cruelty Free - Vegan Friendly - Gift for Her - Handmade - 1 or 4 oz. STRAWBERRY Cake Batter Ice Cream Sugar Scrub - Body Polish - Organic Sugar - Cruelty Free - Vegan Friendly - 1oz. or 4oz. Follow me on Instagram @sugarsugarscrub & Facebook for Giveaways, Flash Sales, Coupon Codes & More! Current turnaround time is 5-7 business days. I cannot guarantee USPS delivery timelines but I will ship in my window. ♥Please Note: Jar/Lid color/style is subject to change but will always be same size. ♥I ship to the address on your order not paypal. ♥Contact me if you are interested in custom FAVORS or FUNDRAISING! No Returns on my custom made bath & body products. ☆Please, Pretty Please leave me a PURCHASE REVIEW on etsy.com> your purchases. All Sales Final on Handcrafted Bath & Body Products. Please contact me with any problems before issuing negative feedback. Current Turnaround time is 5-7 business days after receiving payment. I ship to the address on your ORDER not your paypal. I will credit you the difference. I only ship International Packages First Class. Any custom charges are your message me to add insurance. Color, Texture may be slightly different than shown bc they are handmade! Packaging may look different than shown but will always be the same size. My supplier changes things on me from time to time.